Cottontails Baby: I made a patchwork quilt! 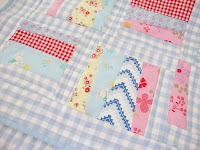 I made a patchwork quilt! This isn't really Cottontails-related, but I just wanted to show you my first ever patchwork quilt. 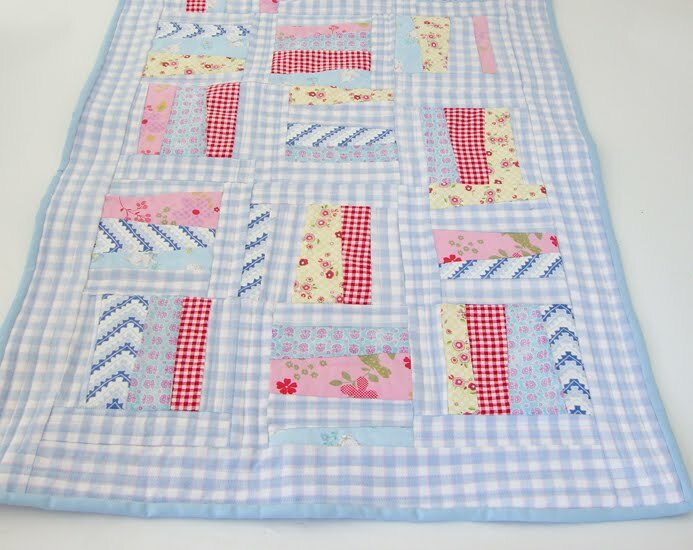 This time last week I was a total novice who needed twenty minutes and a manual to even thread her sewing machine... And now, while I am still a novice, I can sew (wiggly) lines, do seams, mitered corners, binding and have actually made a little patchwork quilt! I attended a fabulous two day workshop with Diana Sanderson, a textiles tutor at South Worcestershire College and honestly I cannot recommend her enough. She was so lovely, patient, helpful and encouraging. I am now working on my second quilt at home before my confidence runs off, and am looking forward to more classes with Diana next month. Quilt number two is finished, here it is - all lovely naturals and warm colours. Think this one is going to go up on the wall somewhere - but at the moment it is draped over the pile of ironing! Also Diana now has her own website up and running at www.textileworkshop.com - do have a look if you live anywhere near Worcestershire / Herefordshire and would like to have a go at a new skill. I'm making my first quilt and it's no where near as neat as yours! I even struggled to cut square squares! mine is going to be a bit rustic! Love it! You did a great job! 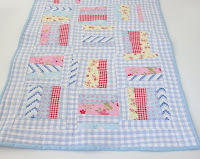 I love the quilt - well done. Just thought I would let you know that Daisy is still fighting fit. I think she must have had an underlying problem for sometime, which she managed to hide, like bunnies do. She is behaving like a youngster again, not a middle aged lady!